Turn your favorite photographs into a picture necklace! DIY Photo necklaces are a unique handmade craft and gift idea. 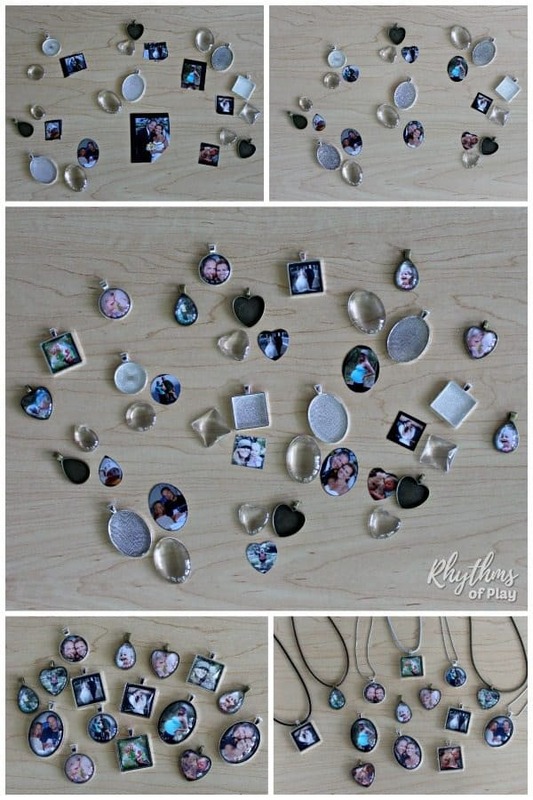 Use this easy photo necklace jewelry making tutorial to make one of a kind photo pendant keepsakes your family and friends will treasure. 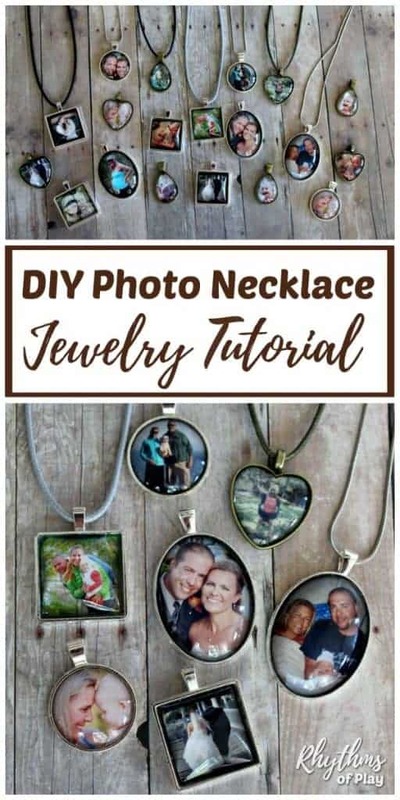 Gather the photo jewelry craft supplies that you would like to use below and follow the easy step by step directions to make your own DIY photo necklace. 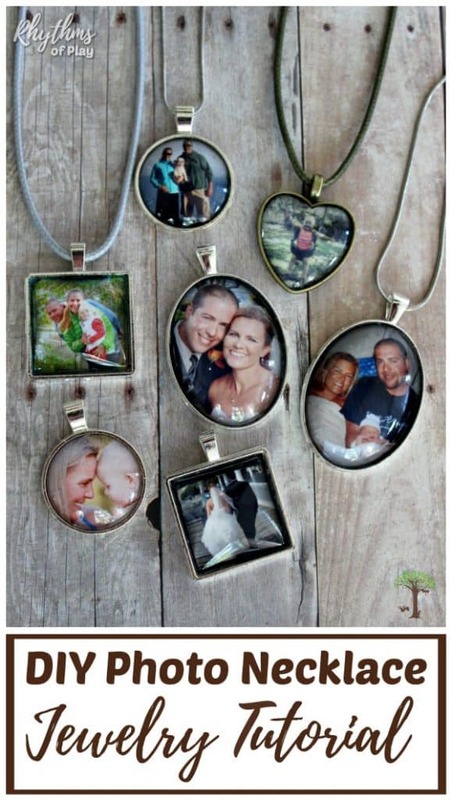 You may also like DIY photo keychains, fingerprint art necklaces or thumbprint heart necklaces. Choose the type of photo pendant shapes and pre-made necklaces you would like to use to make DIY photo jewelry from the materials list below. Step by step written directions for DIY art necklaces can be found below the video tutorial. Another fun idea is to make fingerprint art necklaces. DIY photo necklaces are easy to make! You may also like DIY photo keychains, fingerprint art necklaces, and thumbprint heart necklaces. Select a photograph to make one photo or several photographs to make a lot of photo necklaces. 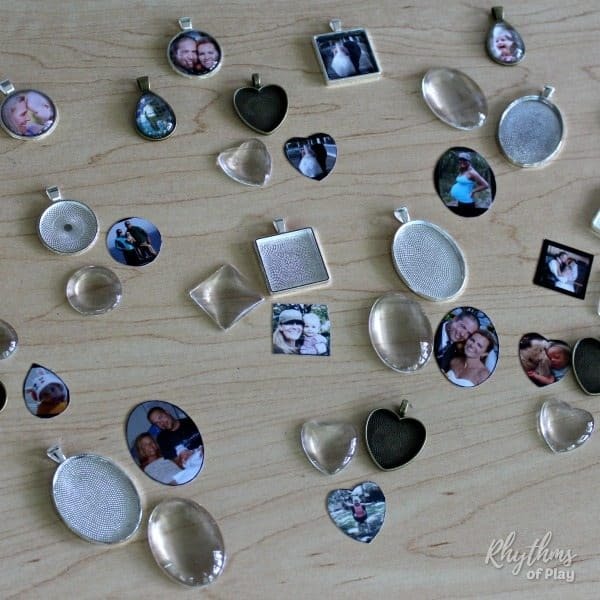 Use the glass cabochons to place over photographs to find the ones that will work. Place glass cabochon over the photo and use a marker to trace it. Skip to step 3 if you are using a precision knife and cutting mat to cut out the photos. Use detail scissors or a precision knife and cutting mat to cut out the photograph or photographs for the number of photo pendants you want to make. Use diamond glaze adhesive to glue a photograph into a pendant tray of the same shape. Use back of a spoon to gently press photo into the pendant tray. Place the cabochon into the pendant tray on top of the photograph and press down firmly to remove air bubbles. Allow photo pendant ornament to dry overnight. Thread a necklace through the loop of the photo pendant ornament to finish your photo necklace. Bead your own necklace or use one of the premade necklace options below. Note: If you bead your own necklace make sure to place the photo pendant ornament onto the necklace when it is halfway finished, otherwise it may not fit over the beads to hang down in the middle. 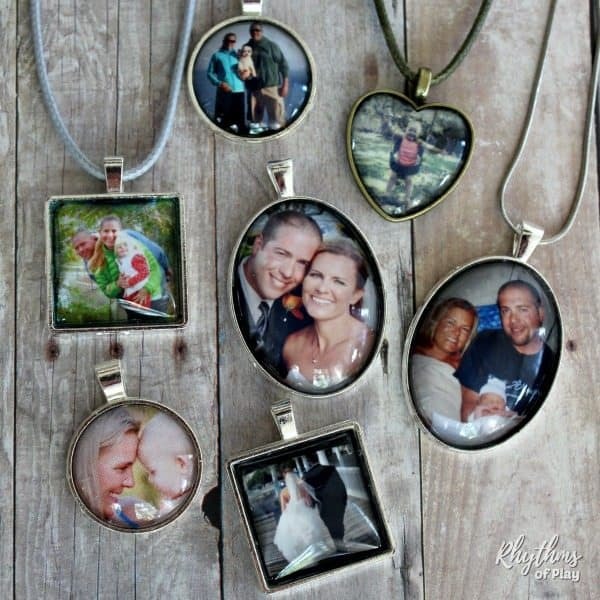 DIY Photo necklaces, photo keychains, and fingerprint art necklaces make an easy gift idea for Christmas, Mother’s Day, Valentine’s Day or a birthday. Turn your favorite photographs into one of a kind keepsakes that friends and family will treasure for years to come. 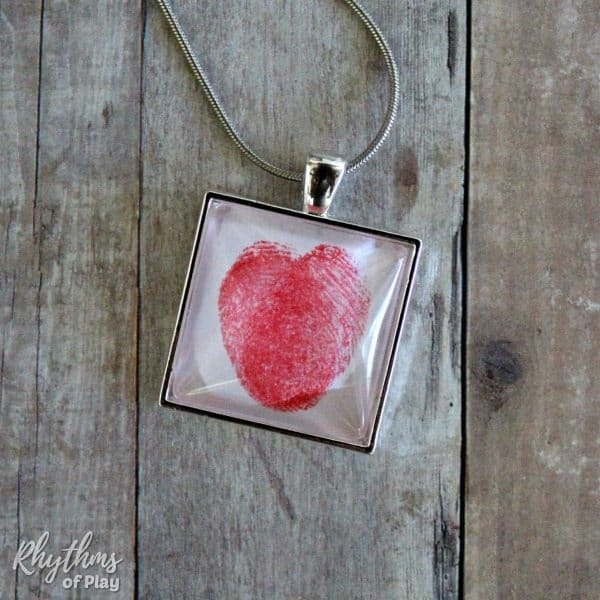 You may also like these easy fingerprint or thumbprint heart necklaces or thumbprint heart keychains. An absolutely perfect gift idea. Pictures in jewelry? Simply a winner.